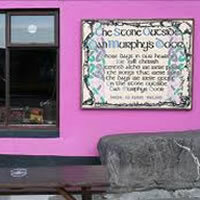 The Stone Outside Dan Murphys Door was written by John Francis Patterson - an Irish singer, songwriter and circus entertainer. 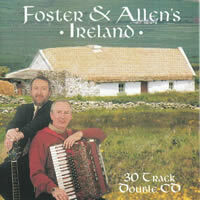 This cover by Foster & Allen is featured on their album, Foster & Allen's Ireland. The chord diagram for B♭- 2 options. The open chord option is common for beginners as it doesn't require a barre chord - if you do this, don't play strings 5 & 6. Barre the first 5 strings on the 1st fret and play the notes accordingly (A shape). 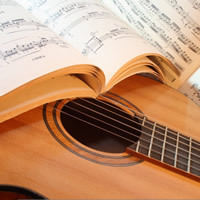 You can play the first 4 strings as an open chord - omitting string 5 & 6 - ideal for beginners. Barre the whole first fret and play the notes accordingly (E shape). The Gm chord is a very easy barre chord. Simply barre the 3rd fret and play an Em shape on the 5th fret. Level Of Ease: Fairly Easy. You will need to know a few barre chords, B♭ and Gm. 3/4 time: This means 3 quarter-note beats or crotchet-beats per bar, therefore the count is |1 2 3|, |1& 2& 3&| or |♩ ♩ ♩| etc. Tempo: approx 164 bpm (♩) for each beat of the bar OR 55 bpm ( .) for a beat at the start of each bar). FOSTER & ALLEN chords and lyrics are property and copyright of their owners. 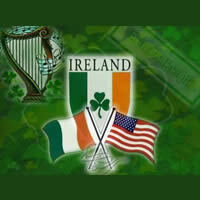 "The Stone Outside Dan Murphy's Door" chords and lyrics are provided for educational purposes and personal use © Copyright 2019 All Rights Reserved.